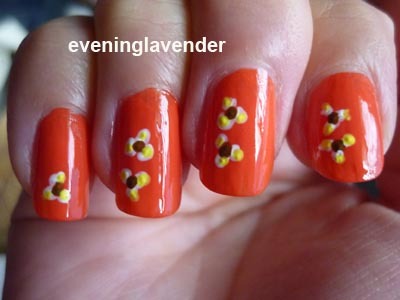 I hope it is still not too late to share with you my simple nail art design for Chinese New Year. I named it plum blossom. 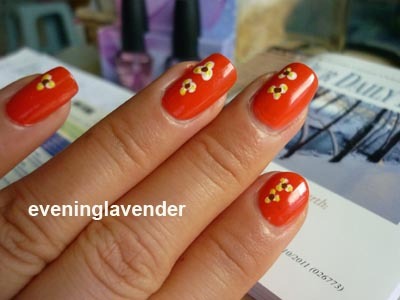 This design is very simple and can be drawn by anyone who knows how to use a doting tool. As I just bought some Acrylic Paint and a Nail Doting Tool, I wanted to try them out. I am quite pleased with the result. 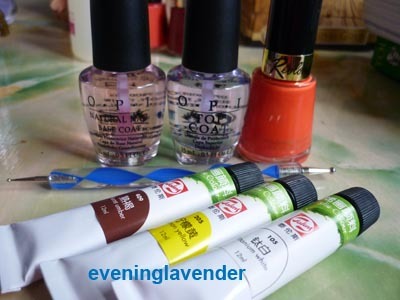 If you are free, you can check out my previous CNY nail designs here and here. Hope you like this simple nail art design that does not require any drawing skill. 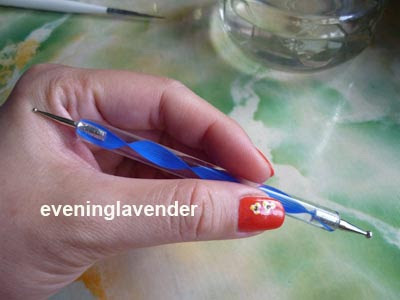 The nail art tool I got it from a friend who worked in a nail art shop. I also don't know where to buy. hey dear, could u tell me where to get the acrylic paint? been searching for it in a tube . I bought the acrylic paint at Czip Lee stationery shop at Bangsar, near Jalan Telawi opposite Bangsar Village 2.